In 2004, Atari released the Atari Flashback, it's first gaming console since the Atari Jaguar release in 1993. 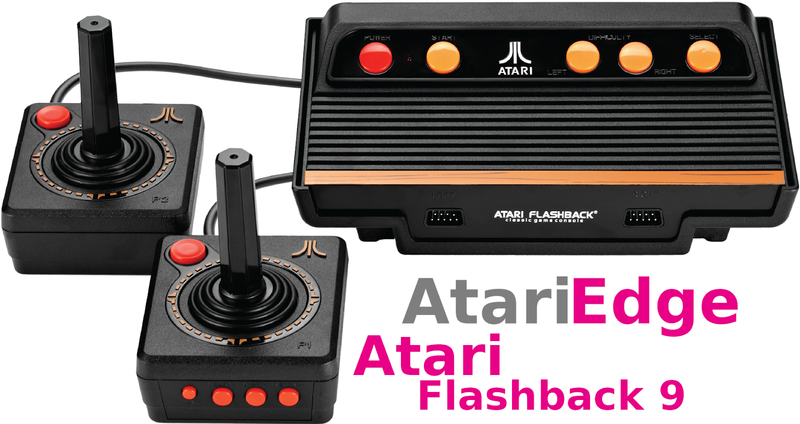 The original Flashback was followed up by the Flashback 2 and 2+ prior to Atari licensing to AtGames for the release of the Atari Flashback 3 console. Since 2011, AtGames has released a steady line of updated consoles, including two portable units, and through the years, the company has continued to make positive improvements to the previous models. 2017 was the year that AtGames brought all of the pieces together in the release of their best consoles. One being the Flashback 8 Gold console that includes 2.4ghz WiFi connected joysticks, improving on their previous attempt at wireless joysticks, and for the first time, HDMI output. I picked up one of the Flashback 8 Gold units that I had on preorder the day of the official release, and have been giving the unit a solid test. One of the best things about this release for me personally was the inclusion of Megamania by Activision. This game has a bit of a nostalgic hold on me, as my family would have a game night every Wednesday night, and play Megamania. To this day, it is the only video game my father would ever play. I had previously played the game on the 2016 Flashback Portable, but there is nothing like playing it on the big screen. The first time I picked up the wireless joystick, sat back on the couch, and played Megamania on our 55" television, I realized how much of a better experience that the addition of HDMI has added to the Atari 2600 experience. With 120 Atari 2600 games, including Pitfall, Kaboom, Space Invaders, Centipede, Frogger, and many more classic hits, the Atari Flashback 8 Gold is packed with incredible titles from most gaming genres. There are certainly games that have remained playable over the years, and there are games that have not. Some of the games that have stayed playable for me over the years, and are included in the Flashback 8 Gold are Super Football, Megamania, River Raid, and Dodge'Em among others. Dodge'Em was a game that I spent many hours playing head to head when I was a kid, and still remains very fun to play on two player mode. One game that many enthusiasts include on their list of best Atari 2600 games, and a game that I had previously not played, is H.E.R.O. and for a game that was released in 1984, this game is amazing. Another game that is included is Night Driver, which will also be released soon by Atari in an updated version on mobile platforms. 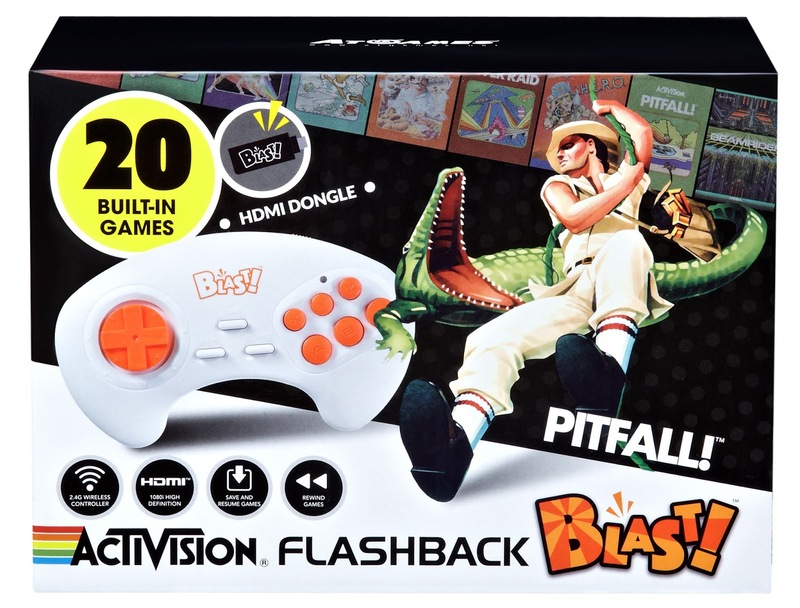 Gamer's all have their own favorites, but overall, I think that AtGames included a solid list of games in the Flashback 8 Gold console. There are many games that I would like to see on the console, and the addition of an SD card slot would provide much more expand-ability for the system. The SD card slot is what gives the Atari Flashback Portable systems an edge when it comes to continued play-ability. The GUI and menu system on the unit are nicely done, and look great. It took a while to get used to the controls, and navigation of the menus, but once gamer's get past the learning curve, it is not too difficult to navigate without much frustration. Two options in the main menu are "Atari Games" and "Activision Games", which lists the games by manufacturer, but "My Favorites" and "Recently Played" are the most helpful categories for separating the games you most frequently enjoy playing. Once a game is selected, a text only game manual loads with instructions on playing the game. Some of the biggest features of the console are the rewind and save features. These features can be very helpful, and add a new level of game play for the collection of Atari 2600 games. I used the save and load feature extensively on Megamania to help me get further in the game than I ever could on the Atari 2600. I tested out the rewind feature, and found that it was not as easy to use as the save feature, but it is still a nice addition to enhance the game play. 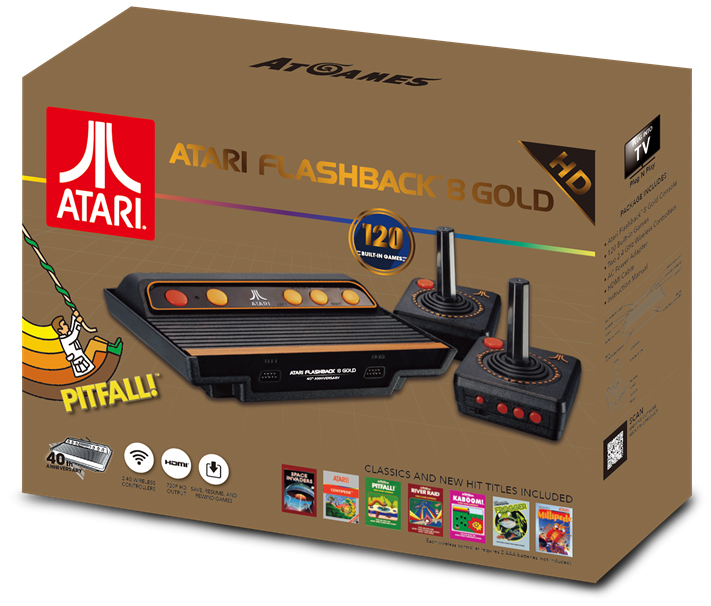 After spending some time playing and testing the Atari Flashback 8 Gold, I found it to be a solid console. 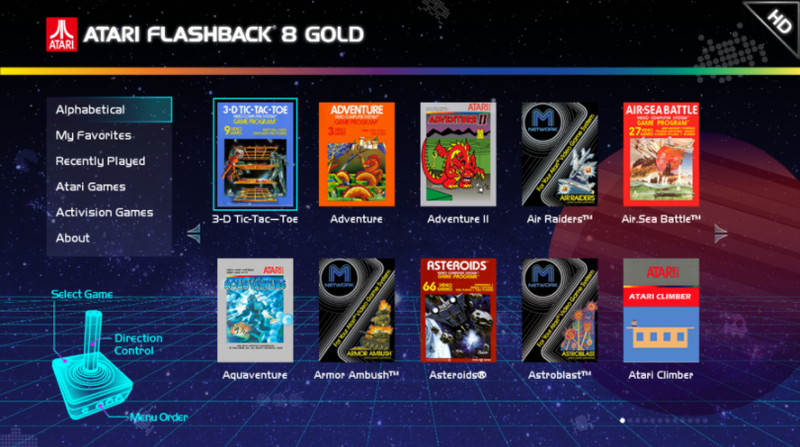 AtGames put together a package of the right features, and just enough classic hits to make the Flashback 8 Gold worth adding to your collection. 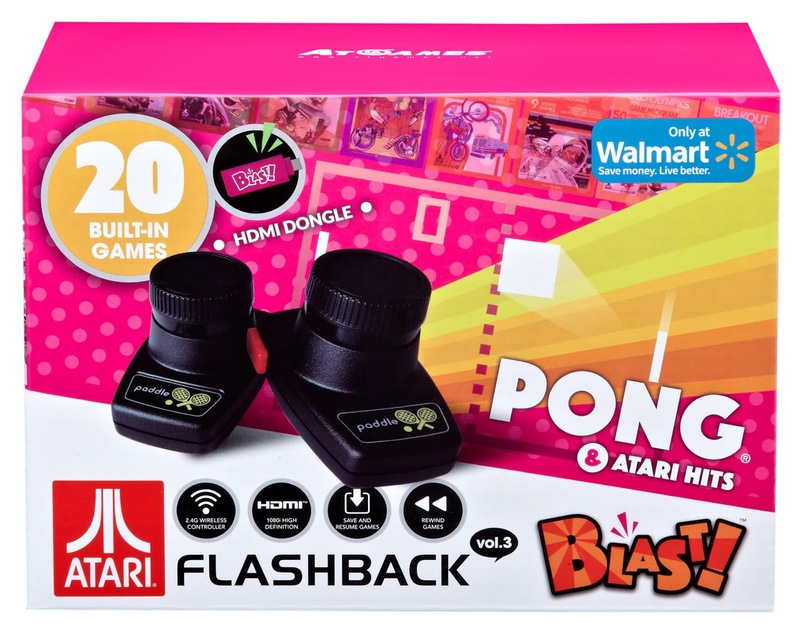 The addition of HDMI, WiFi joysticks, as well as the save and rewind features to the Flashback 8 Gold, make the Atari 2600 gaming experience better than ever.